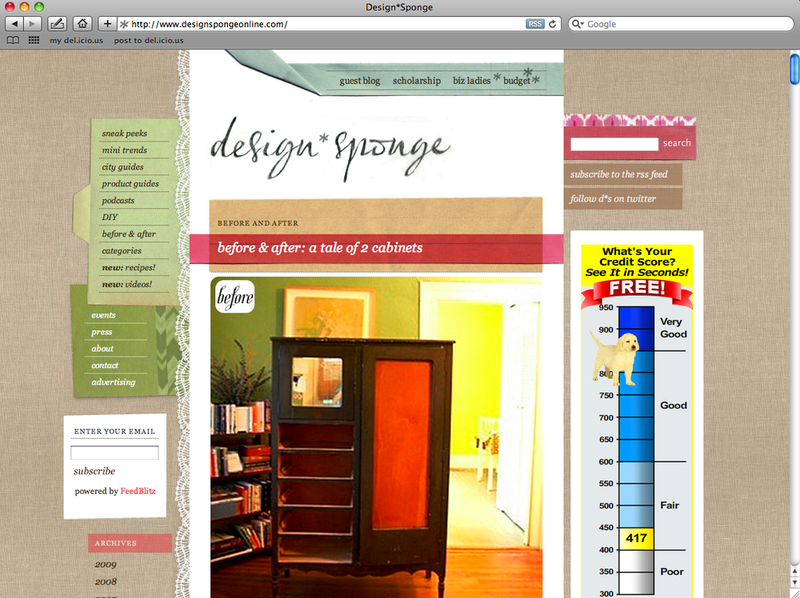 I'm thrilled that my Armoire project was featured last Thursday on Design*Sponge!! It's one of my daily reads & absolute favorite blogs. Grace features Before & After projects on Thursdays and I'm so excited that our Armoire made the cut! I loved looking at all of the comments, even though they weren't all great. I'm so inspired by D*S that I want to finish all of my projects that are gathering dust and cobwebs in the basement... a sweet little secretary desk and more chairs than I'm willing to admit. You can read more about my efforts here.